October means pumpkins and Halloween costumes – and everything in the stores is a festive orange and black. 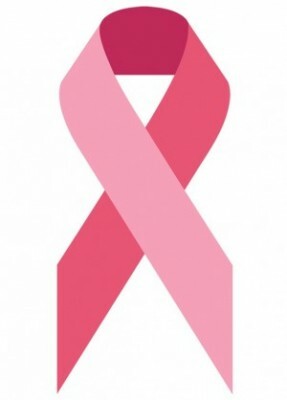 But for those of us who know someone who has or has been through breast cancer, the only color that matters this month is pink for breast cancer awareness. Breast cancer is the second most common kind of cancer in women, and many women can survive breast cancer if it’s found and treated early. Which is why during October, we want you to talk to your doctor about your risk for breast cancer and how often you should be getting mammograms. Virginia Mason is celebrating this special month with two very special events – the opening of our new Breast Clinic and the Making Strides walk. We’re very excited to open the new Breast Clinic at the University Village Regional Medical Center during Breast Cancer Awareness Month. Starting Tuesday, Oct. 7, we will offer screening mammography at this site for scheduled and walk-in appointments. In mid-October, the clinic will also begin offering appointments with a breast health nurse practitioner to evaluate any concerns for women and men. For more information on the University Village Breast Clinic, please visit VirginiaMason.org/breastclinic. For an appointment for a screening mammogram or with a Breast Clinic provider, call 1 (877) 433-9813. Join the Virginia Mason team on Saturday, Oct. 18, for the American Cancer Society Making Strides Against Breast Cancer walk, as we help make breast cancer a disease of the past. Since 1993, 9 million walkers in Making Strides events across the country have raised more than $528 million to support not only cancer research, but access to mammograms, information and services for women in need. Funds help pay for everything from transportation and lodging to support programs and financial assistance. Every Making Strides walker helps push research forward, maintain essential services and build awareness in their own communities. When: Saturday, Oct. 18; walk starts at 9 a.m. Team Virginia Mason: Click here to register with the Virginia Mason team. Should I Get a Mammogram? Should Women at High Risk for Breast Cancer Have a Mastectomy?